SEP180430 - Superstar writer Grant Morrison (Batman, All-Star Superman) returns to DC alongside red-hot artist Liam Sharp (The Brave AND the Bold, Wonder Woman) to launch a new, ongoing series: THE GREEN LANTERN! 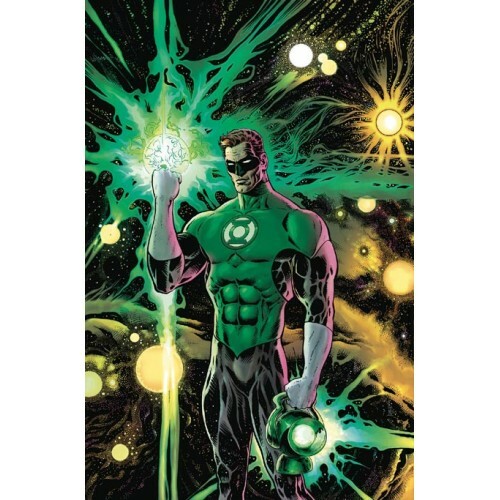 In this debut issue, when Earth's space cop, Hal Jordan, encounters an alien hiding in plain sight, it sets off a chain of events that rocks the Green Lantern Corps-and quite possibly the Multiverse at large-to its very core. There's an inter-galactic conspiracy afoot, as well as a traitor in the GL Corps' ranks, so strap in for more mind-bending adventures in this masterpiece in the making.